Social media marketing is now an important tool that helps in promoting, content, product and services when done the right way. If you own a business, a website or a product and if you are looking forward to sell it to a large audience then you should invest a good amount of time and energy on Social Media Marketing. The main aim of social media marketing is to increase footprints to websites, increase the brand awareness and to increase more followers which includes loyal fans from various parts of the world. Social Media Marketing helps you reach most parts of the world thus enabling you to be global with your product or service. When it comes to the most popular social media platforms these days, then Twitter, Facebook, Pinterest, Google +, Instagram, LinkedIn and YouTube are in reign. If you are a business owner who is new to Social media marketing, then it is wise to understand some of the basic intricacies of the process even if you are planning to hire the services provided by the professionals in the field. There are a huge number of firms that offers social media marketing services, if you learn the basics of the subject then it will benefit you since you would then understand how things work. Most of the time we expect great results as soon as possible when we pay someone to do something. However, when it comes to Social media marketing it is different. It takes time to see great results and it takes effort to make it to the top soon. Choose the platform – The first and foremost thing you must do is to choose the social media platform you are planning to work on. If you are a beginner, then it is best to choose one platform to start with instead of working with many. Try to find some competitor’s social media platform and learn their tactics. This way, you will be able to understand what you need to avoid (tactics that can clash with that of your competitors. In order to serve your audience with good quality posts and content you will have to understand their needs. This will bring you closer to your target audience and you will soon see the number of followers in your page increasing. Gone are the days when you could add fake profile pictures or pictures from other sources, copy pasted contents and get results. These days you will have to optimize your profile with real pictures and churn out original contents on a regular basis. Add a good description, describe the business you own in a short crisp sentence and add a link to your website or blog if you have any. Make sure you have added social media buttons on your website or blog that you own as well. Maintaining the balance between your followers and following is very important. This is what makes your profile trust worthy. Make sure that the number of followers you have is always greater than the number of profiles you are following. 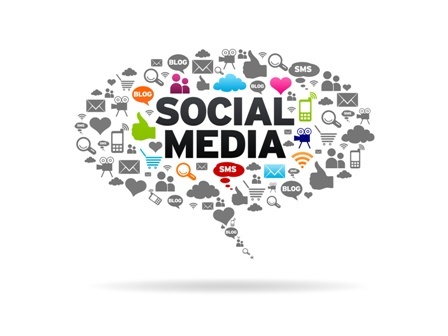 By following the above pointers, you will soon be able to do your own social media marketing. However, if you are busy and don’t have the needed time in hand then you can opt for the services provided by the professionals. There are firms that will not just help you with your social media marketing but if you don’t own a website or a blog yet, they will make you one with original content for the home, about us and other pages.